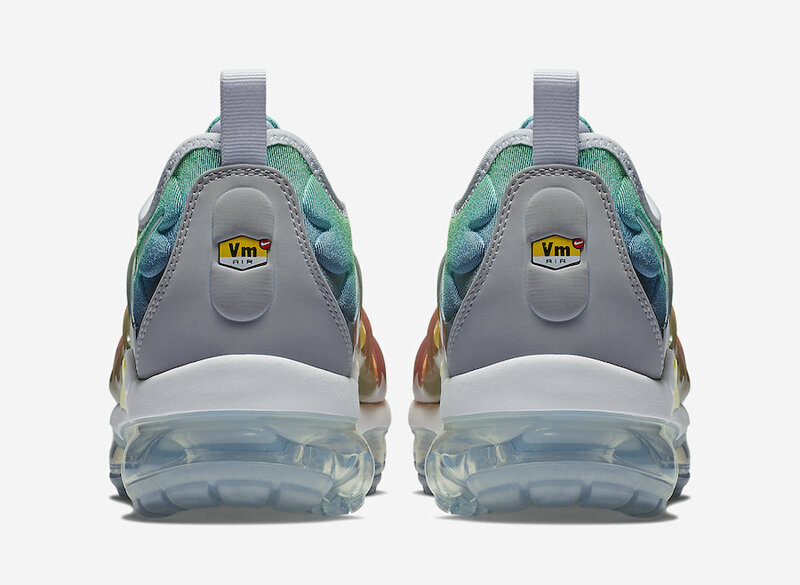 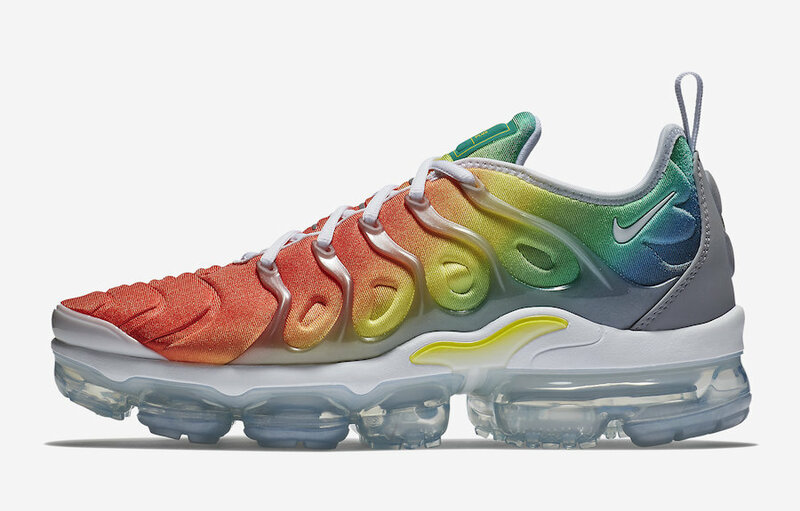 Nike Air VaporMax Plus "Rainbow"
Nike Sportswear adds several color ways of their Air VaporMax Plus lineup. 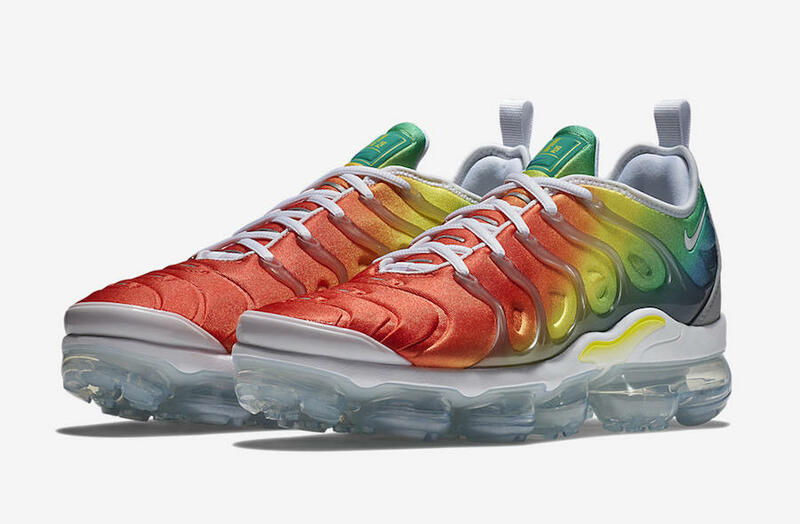 This Nike VaporMax Plus comes in a Rainbow ombre of Neptune Green , Dynamic Yellow, Blue Nebula, and Habanero Red all atop a clear VaporMax sole. 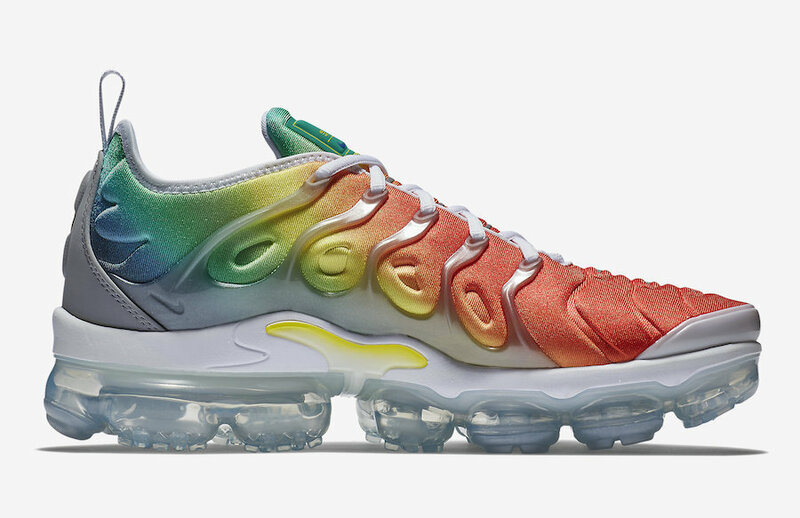 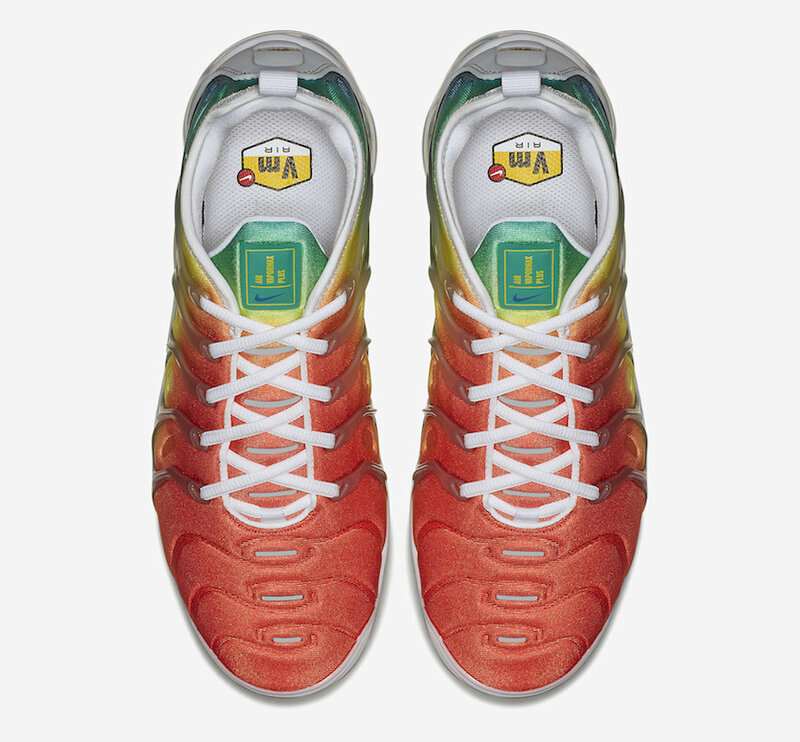 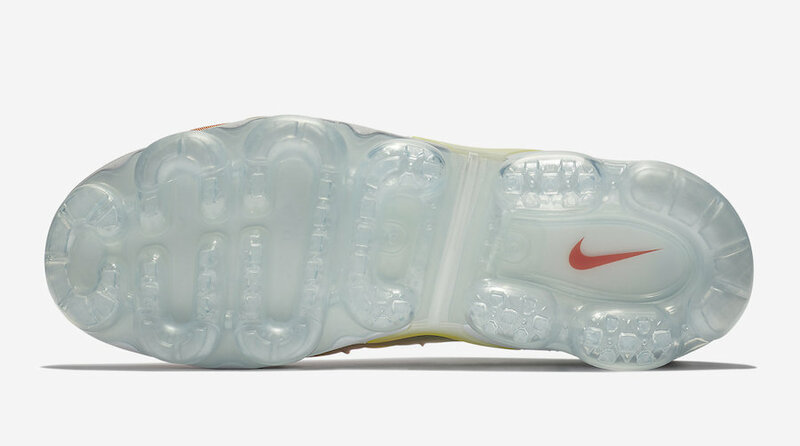 The Nike Air VaporMax Plus “Rainbow” is set to release on April 26th at select Nike Sportswear retailers and Nike.com with the retail price tag of $190 USD.